Dr. Robert "Bob" Barker, age 71, passed away on Wednesday, April 10, 2019, in Cox Medical Center, Springfield, Missouri, surrounded by his immediate family. He was born on October 11, 1947, in Mt. Vernon, Missouri, to Burl and Jerline (Bullard) Barker. Robert was a 1965 graduate of Mt. Vernon High School. He attended Southwest Baptist University, Bolivar, where he obtained a Bachelor of Arts degree. Robert went on to earn a Master’s degree at Southwestern Baptist Theological Seminary and a Doctorate at Midwestern Theological Seminary. Robert was licensed into the ministry on February 10, 1965, and spent his entire career serving his Lord and Savior, including years as a foreign missionary in Venezuela, Pastor of Calvary Baptist Church, Odessa, MO, and finishing his career as Chaplain at Integris Baptist Medical Center, Miami, OK. Robert retired from full-time ministry in 2010 but continued to find ways to serve with various volunteer positions. Robert was preceded in death by his parents, Burl and Jerline; a sister, JoAnn Hood; and parents-in-law, GD and Virgie (Russell) Parrack. 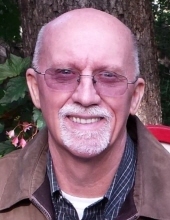 Robert is survived by his high-school sweetheart and wife of 52 years, Joyce (Parrack) Barker, of Republic, MO; a daughter, Blenda Moore, and her son, Andres of Mt. Vernon, MO; a son, Brent, his wife, Sarah, and their daughters, Hannah and Katelynn of Billings, MO; a daughter, Amy of Monett, MO; a son, Aaron, his wife Laura, and their children, William and Anna Joy of Barnhart, MO. He is also survived by brothers, Roger and wife Jan of Republic; Keith and wife Kay of Mt. Vernon, Brian of Mt. Vernon, and Dean of Mt. Vernon. Robert also had a large extended family that included many uncles, aunts, cousins, nephews, and nieces. To send flowers or a remembrance gift to the family of ROBERT "BOB" BARKER, please visit our Tribute Store. "Email Address" would like to share the life celebration of ROBERT "BOB" BARKER. Click on the "link" to go to share a favorite memory or leave a condolence message for the family.